Finding a place that isn’t packed full of tourists in Thailand isn’t easy, of course everyone wants to be in the best spots! And why should you miss out on these just because you want peace and quiet? Well I’m not suggesting that, not even for a second. There’s plenty of quieter places to go on the busiest islands like Koh Phagan or Koh Chang, and you can always visit the busy beaches in the low season or quiet times, like visiting the full moon beach at any other time other than the full moon. But what if you want something that feels like Thailand 20 years ago? Something real? Somewhere where you won’t be offered pizza, pasta and lady boys on a plate every minute of the day? Then, you must head to Prachuap Khiri Khan. 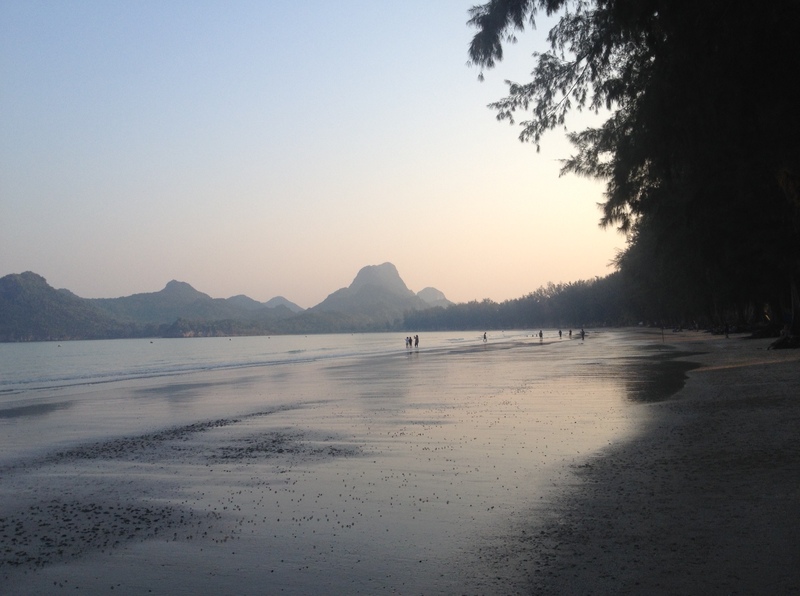 For a quick escape from Bangkok, Prachuap is well placed. It’s only 4 hours away from Thailand’s bustling capital in a minivan and as it’s on the mainland, no extra time necessary for the ferry ride. It’s 1 hour further south than Hua Hin, a much more well known destination but for very different travellers. 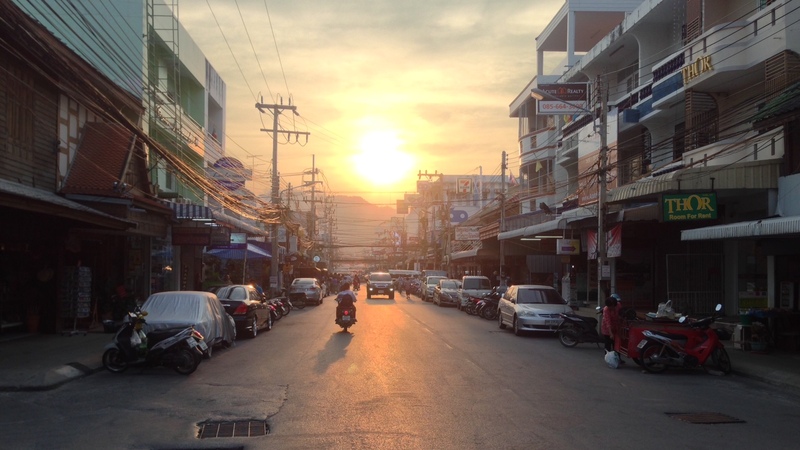 We decided to pop over on our way to Prachuap to see what it was like as a matter of due diligence. The Lonely Planet insists that although there are more senior citizens in Hua Hin than young backpackers, this place shouldn’t be disregarded as a top destination to go to. I regard it as literally the worst beach in Thailand. Do not even bother. No white sand, no calmness, just rows and rows of sun loungers covering every inch of the beach with moody pensioners eating western food. They do have a night market in town but it’s busy and sells a lot of stuff that no one wants. There’s one amazing restaurant here which made our stay worth it, Kota, on the main highway that runs through town, and a nice night market that will keep you entertained for a night or two with its noodles, friend chicken and banana pancakes. Two days later we were eagerly on our way to Prachuap Khiri Khan with high hopes of somewhere relaxing to rest our heads for the next 4 days. 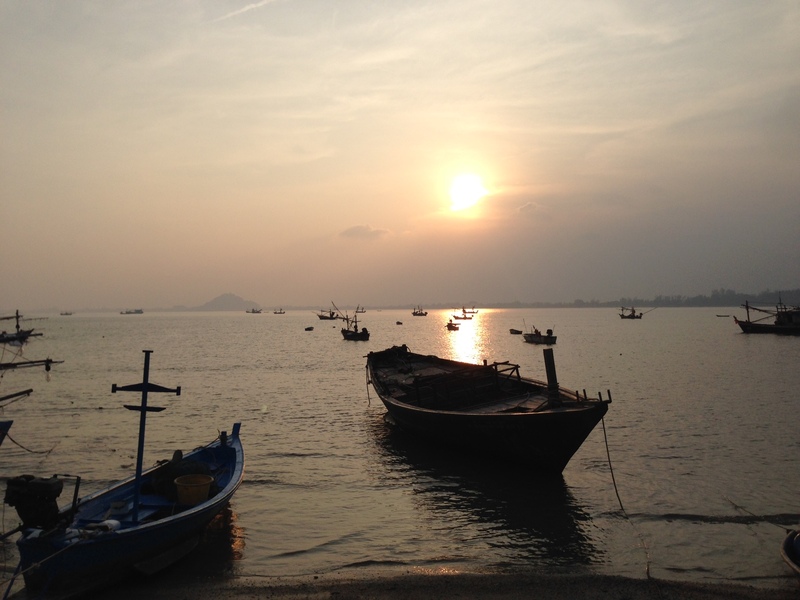 Prachuap is touted as a sleepy fishing village packed with charm, which also sounded appealing. 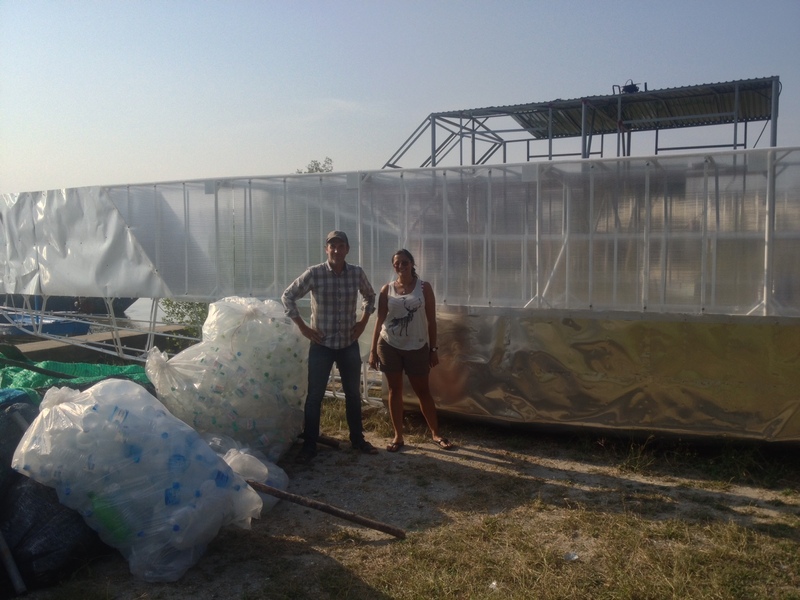 Luckily I was speaking to my old friend Kirk (the owner of Isara where I volunteered as a teacher 5 years ago and now environmental enthusiast who has just built a plastic bottle boat and sailed it through the gulf of Thailand!) and he just so happened to be living there, what luck! We hired a moped for £5 a day which is really the best way to get around this small town and the surrounding countryside. Our first stop was to see Kirk and his amazing plastic bottle boat . It floats using over 12,000 plastic bottles, when we visited it wasn’t completed but I’m happy to say all went smoothly and he did some fantastic campaigning and work with children and the government to publicise the necessity to “think before you throw” trash on the ground and on the beach. He did it all for his love of Thailand and passion for educating the people here about littering. It’s a huge problem in this country and its really inspiring to see him take such positive action to change it. To find out more you can go to his website or follow him at www.facebook.com/plasticbottleboat . We had a great catch up and talked for hours about our travels, his travels (he cycled on a BICYCLE through Laos and Vietnam!) and what the future had in store for us, when you travel for so long I can’t tell you how nice it is to see a familiar face, especially one that motivates you to do better and be better. 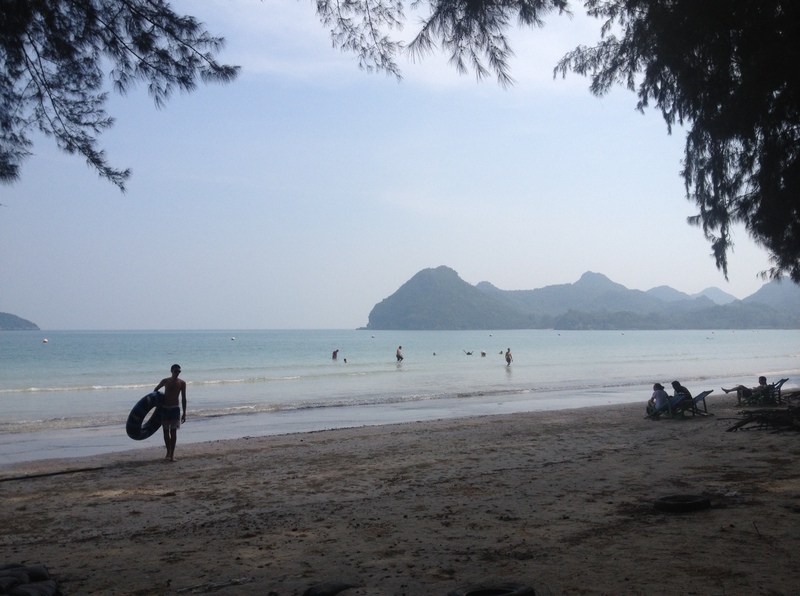 Back to Prachuap, and the other reason we came here, beach time. 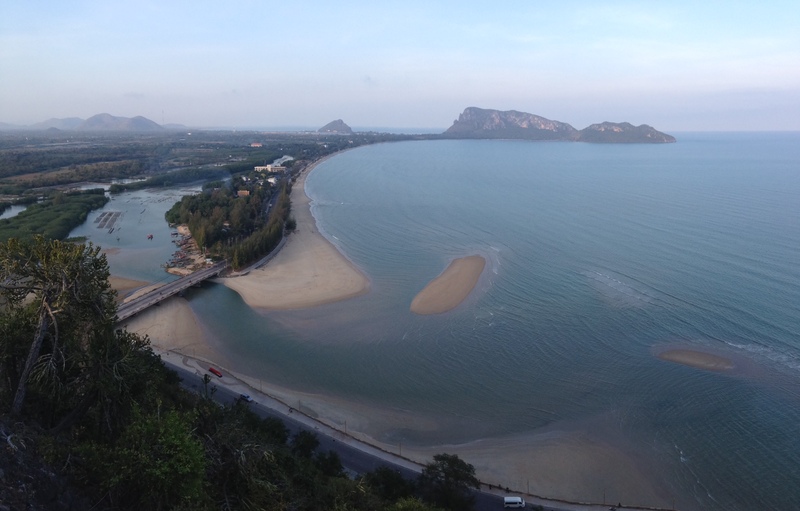 Prachuap is a town of 3 big bays, the middle one being the centre of town. It’s pleasant enough for relax on, but not the best in Thailand you’ll ever see. But as we quickly found out, there is far more to the perfect beach town than the quality of its beach. The nicest beach is a short ride away in the Air Force base south of town. It’s an interesting place to drive through, a massive resort for soldiers on leave perhaps, who knows. But the beach is idyllic, stretching out through a tree lined cove with plenty of deck chairs available to lounge on in the shade. This is not a beach for bakers, be warned. They have a food market right across the street selling ice coffee and a whole host of lunch time treats, it’s the perfect place to spend the day. If you want to bake but Hua Hin doesn’t sound like your cup of tea, the beach to the north by the temple is a good bet, but sadly there’s quite a bit of rubbish on the shoreline to wander past which somewhat kills the mood. It seems the Locals don’t know how much of a treasure they have here and they continue to litter, or maybe they do know and they use it as a way to put tourists off. Either way, Kirk’s inspiring environmental project couldn’t have come at a better time. There’s also an interesting temple in town, visible from pretty much everywhere in Prachuap and famous because it’s completely over run with monkeys, Jungle Book style. Monkeys intrigue and terrify me in equal measures because they’re so cute, so much like humans in the way the care for each other, yet vastly unpredictable in their temperament. This is the perfect place to watch them, but do so with caution because if you stare at one for too long they’ll hiss, run after you and try to steal your phone. 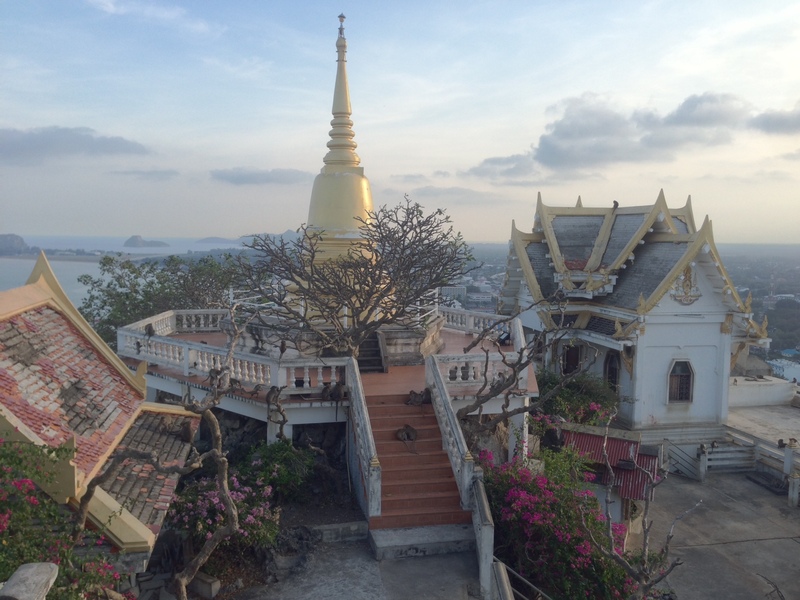 The views from the top of this incredibly high temple are unrivalled, and worth it even in 35 degree heat. Every night there’s a small night market in town with plenty of food on offer, but as an un-touristy town there are no menus in English. We wandered around aimlessly for a while until we were drawn to a particular dish we could see or smell, then point at it in just the right way to show we were not mentally challenged but in fact wanted the same thing. 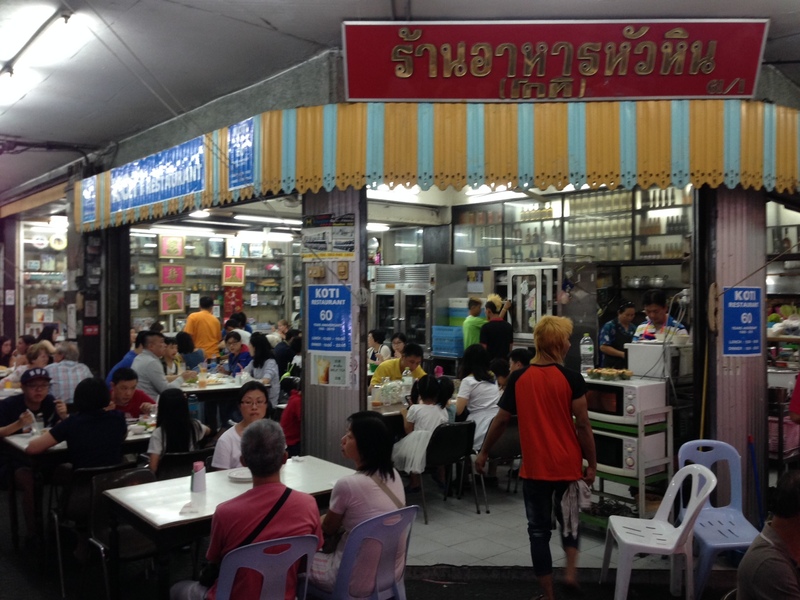 This often worked out in our favour and became so addictive that we’d share 3 or 4 dishes from as many stalls each evening. Pad Thai, satay, noodle soups or my personal favourite krapow gai kai dow (stir fried minced chicken with chilli and basil and a fried egg on top) all delicious especially when eaten all in the same evening! But the real star of the show in this town is the weekend night market, every Friday and Saturday evening, when the town really comes alive and everyone comes along to sample some street food or buy a t-shirt. Obviously, we were more interested in the food, and by we, I mean me. I got crazy eyes when we first arrived and sampled everything from every stall I could get my hands on. 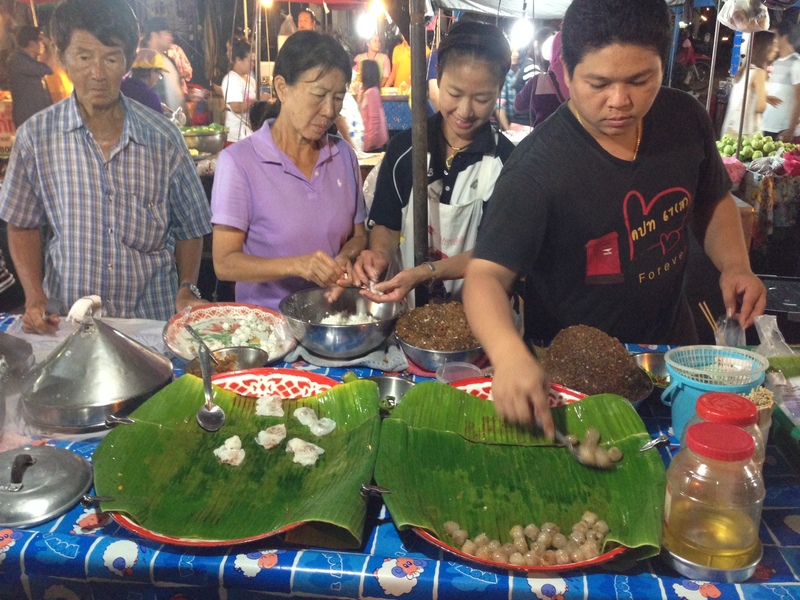 I was so excited to see all my favourite foods on offer, things I hadn’t seen since my teaching days in Nong Khai 5 years ago when the other teachers and I would rush down to the market on a Sunday evening to fill up on sweet corn treats, fish cakes and other fried goods. I tried to pack 2 months of this activity into 5 minutes at the market in Prachuap, which was slightly frightening for Mickaël. He handled it like a trooper though and dutifully handed me the wallet. I happily filled up on all of the above and gawped at the rest of the food I was then too full to eat, while Mickaël took his time to find the cream of the crop. He chose Vietnamese spring rolls packed with fresh vegetables accompanied by a sweet, tangy sauce and the most refreshing pad Thai over ever had (because I’m never to full to have a little taste). A successful trip all round. 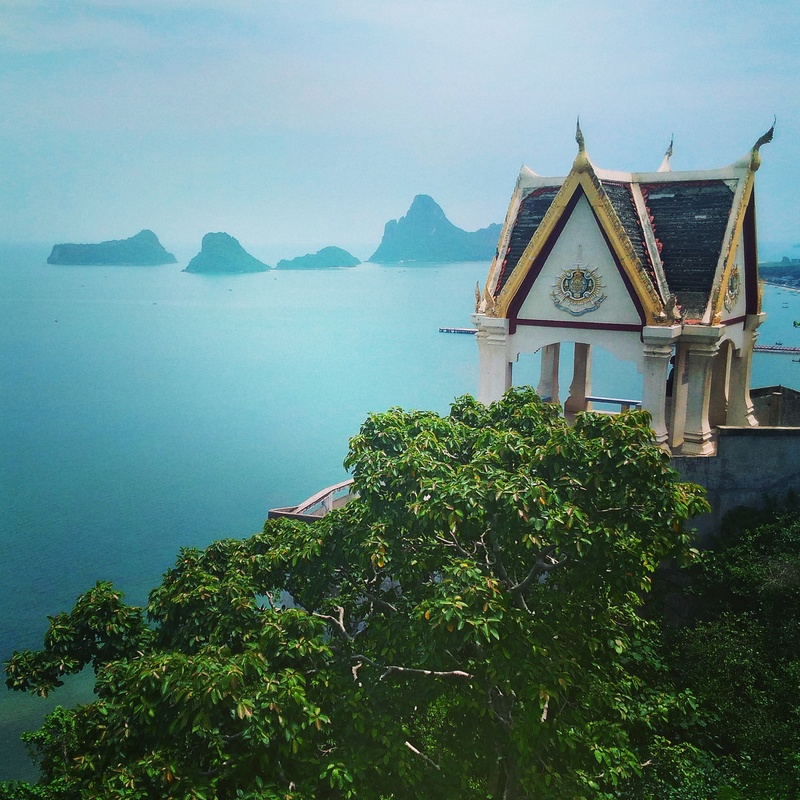 So all in all, I really think Prachuap has it all, and I hope after reading this post you agree and give it a try. It won’t be the paradise island of white sand beaches and buckets of booze that you may have had in mind, instead you’ll get a slice of the real Thailand with plenty to keep you entertained if you enjoy the simple things in life. Riding through town to the deserted beaches clinging to Mickaël with the wind in my hair was honestly the greatest I’ve felt on the whole round the world trip. Never have I been so carefree, so at home and yet full of adventure, so content because this was it. This is what we had been looking for, and I hope one day you find it too.